After VERSUS, our collaborative album with Materia Collective, the group felt a Final Fantasy album would be perfect for our next effort, especially with Final Fantasy XV on the horizon. The success of Materia Collective’s Materia and Successor albums proved that FF fans were eager for cover albums, but we wanted to add our own twist. I pitched the idea that we could cover a track from every game in the main series (I through XIV and Tactics). Each game had two slots for songs, but some games received more love than others in the end (sorry FF Tactics, IX, XII, and XIII). At this point, there wasn’t an approval process in place for tracks so artists simply chose which games(s) they wanted to cover. We set up a few check-ins, and I began planning the release date. Originally, were going to release on the same day as Final Fantasy XV (September 30th, 2016). Ultimately, both Final Fantasy XV and the album were pushed back, but that’s skipping ahead a bit. First, I needed to find an album artist and a mastering engineer. No matter what people tell you, they will judge a book by its cover (or an album by its art). The incomparable Don Corgi did the artwork for VERSUS, but I wanted to find a new artist for this album. I didn’t really have much of an idea for the artwork because we didn’t even have a title. What’s more, I wasn’t very familiar with Final Fantasy, so I had to reach out to the group for ideas. Lots of titles were pitched, but eventually Matthew S. Harrison suggested Mog’s Mixtape. I loved it immediately, and just like that, I had an idea for the album art. One of the GameLark artists recommended a friend of theirs, Ian Murray, to do the artwork. I contacted him and pitched the idea of Mog sitting by a lake with a pair of headphones. He realized my vision with very little input, even adding the airship and the castle in the background (which I think foreshadows the darker second disc). I could write a whole paragraph about the album art for Mog’s Mixtape, but I’ll simply say this: its charming, storybook style fit the album perfectly and I couldn’t be happier. While the album art was underway, I began considering a mastering engineer. Mastering an album is no easy feat, but it’s especially hard when you have so many styles on display. I knew the mastering engineer for VERSUS, Michael “Skitch” Schiciano, would have his hands full with future Materia Collective projects, so I wanted to find a dedicated GameLark mastering engineer. Someone (I forget who) suggested AHmusic, a metal VGM cover artist who also dabbled in orchestrated/instrumental covers. He was eager to help for a reasonable rate, and just like that, we had found our mastering engineer. The proof, as they say, is in the masters, and Alejandro has been mastering our albums ever since. Tracks were coming in almost every day as we neared the final delivery date, and excitement was growing. One particular story sticks out in my mind from this time period. I was on a business trip as the final track deadline drew close, and Ro Panuganti had sent me his mind-bending version of “One Winged Angel.” As I listened closely to the intro, something was off. I listened to it again, and sure enough, one of the beats was off-tempo. I sent Ro a message to see if he agreed, and he replied with an updated version of the track. This time, one of the guitar riffs was off-tempo. Again, I messaged him and again, he updated the track. This went back and forth for about 30 minutes before Ro realized that the problem was the audio software that he was using and not the track itself. I tell this story to illustrate Ro’s dedication to his craft, not to prove how much of a micro-manager I am. That said, I do have my moments. The final track deadline came and went, but I had already started arranging weeks ago. TeraCMusic’s breath-taking “Epitaph” was the album opener, I knew that for sure. Other than that, I had no clue what to do with the 32 tracks. When I arrange an album, I look for three tracks: an opener, an anchor track, and a climax track. The opener sets the tone for the whole album, the anchor track is a bridge between the first half and second of the album, and the climax track is the most dynamic track on the album. As soon as I started arranging, I realized that we had a problem: the album was too big. Trying to arrange 32 tracks into one cohesive piece of music was a nigh impossible task. Very quickly, I realized that I needed to split the album in two. With that decision, the structure became a lot more clear, and I even devised themes for the albums. The first album could be a triumphant story ending with Charles Ritz’s charming “Prelude.” The second album was a dark, twisted tale that ended in failure with MyNewSoundrack’s “Game Over.” For a more detailed look into the album arrangement, watch the video below where I discuss my thought process in real-time. With the album arranged, the artwork completed, and the tracks mastered, we were finally ready to submit to Loudr. Little did I know that the hard work had only begun. Long before the album was submitted, I began to think about how to market the album. 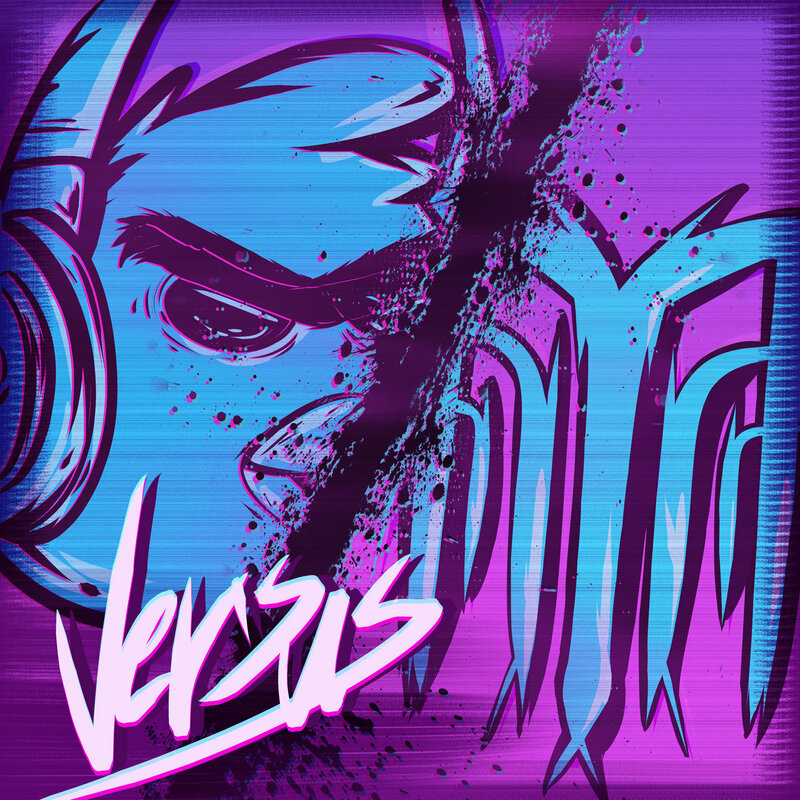 With VERSUS, we had the help of Materia Collective and their marketing/advertising gurus. This time, it was all up to me. I knew that I wanted an album teaser, album previews, and a release trailer for YouTube. Newcomer Stevie Pilgrim’s track “Breezy” seemed like a great way to introduce the album. I took a different approach for the teaser video by using stock footage of pastoral scenes to convey a sense of peace and tranquility. For the next video, I introduced the artists on the album and tried my hand at creating an animated character for the Lark. Finally, we had two album previews, one for each disc. With the videos finished, I turned my attention to fansites and other gaming outlets for a press release. For anyone who has tried to market their own album, let me say this: I feel for you. There’s nothing like spending dozens of hours reaching out to websites with nary a response. We were fortunate with SUPERSONIC when Tails Channel featured the album, but I couldn’t rely on that happening again. I was growing frustrated as I continued searching for Final Fantasy groups, blogs, forums, anywhere that I could market the album. As fate would have it, I reached out to a marketing/press company called Scarlet Moon. For those who don’t know, Scarlet Moon is a marketing/press firm run by Jayson Napolitano and used by plenty of good folk in the VGM community (Materia Collective included). I approached Jayson, trying to spread the word about the album. He asked me some questions about marketing and press, and probably could tell very quickly that I didn’t have a good plan. After dozens of hours and countless messages and emails, I reached maybe 100 websites and fan groups. He offered to send a press release for the album to all of his contacts in the industry. I asked how many he had; he responded that he had thousands. We came to an agreement, and that was that. Sure enough, after Mog’s released, the album popped up on some pretty big websites. The lesson here is to have a plan before you market the album. As I previously mentioned, the album did not release on September 30th, but then again, neither did Final Fantasy XV. Spirits were high as we released the album into the world on 7 October 2016, and the response was overwhelmingly positive. To date, we’ve sold around 150 copies with over 190,000 individual streams of the album. With Jayson’s help, we reached over 20 sites including Forbes, VGMO, and Crunchyroll. In short, this album was the result of a lot of hard work, dedication, and passion, and I hope that comes through in the music. Unfortunately, I had to leave GameLark Records shortly after this album released, but that’s a story for another day. What I will say is this album is our most ambitious and musically diverse album. That ambition came at a cost, and ultimately, I think we’re more comfortable with smaller albums that have a more cohesive sound. Additionally, we’ve recently partnered with Materia Collective to handle marketing, press, and distribution so that gives us more time to focus on the music for future albums. The legacy of Mog’s Mixtape lives on with every single stream, download, and view, and who knows? Maybe we’ll revisit Final Fantasy again one day. “Final Fantasy Tactics interested me in particular because of its faith mechanic. In FFT, any person's susceptibility to magic is dependent on their faith. So a faithless atheist cannot be healed, but also cannot be hurt, by magic. This seemed like a very different way of approaching things than either treating magic as a quasi-scientific concept that affects everyone equally even if some people can't understand it (like how we don't need to understand quantum physics to live with it) or treating faith as something that is particularly punitive against non-believers. “One of the most daunting parts of covering music is standing out from the original, while maintaining the same quality and excitement. One Winged Angel gave me a chance to work on a large progressive epic with TeraCMusic while exploring new elements - Guitar Riffs, replacing orchestral elements with multiple layers of guitars.